Competitively priced. Free parking. Good choice for breakfast. Friendly staff. Access to a blue ski slope just over the road. The meals were very good with plenty of variety and the staff were excellent. Breakfast was OK but expect cold eggs and cold sausages. Everything but coffee is cold. But coffee is not bad :) Good for a one night stay. The cheapest in the area. The staff is very helpful and friendly.Location is beautiful and perfect for advanced skiers.Breakfast and dinner are good. Travelling from South Africa, nothing in Europe is well priced! So based on heresay, this hotel is well priced for Andorra. The glass lift had the best view of the slopes. Great value for money, good food as well. Great location for skiing, can ski in and out of the hotel. La ubicación y las vistas de las habitaciones que dan a la carretera. El personal, tanto de recepcion, restaurante, limpieza,... todos muy atentos y dispuestos a solucionarte cualquier duda. Encantada! 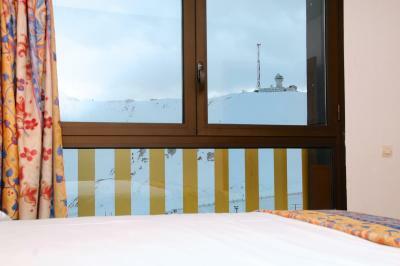 The spacious rooms have panoramic views over the slopes and the mountains, heating, parquet floors, and flat-screen TV with cable channels. 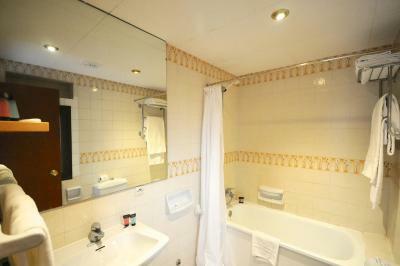 All rooms have a private bathroom with free toiletries and bath or shower. Guests can enjoy a buffet breakfast in the hotel's restaurant with views of the slopes. The restaurant is also open for dinner and the dishes are prepared with local products. You can relax in the bar or the welcoming lounge. There is also a chill out terrace with views of Pas de la Casa and a seasonal barbecue area. The hotel also has a free ski storage room, free private outdoor parking, and offers a covered parking with limited places for a surcharge. Vertskapet på Hotel Pic Maià har tatt imot gjester fra Booking.com siden 25. aug. 2009. Når vil du bo på Hotel Pic Maià? 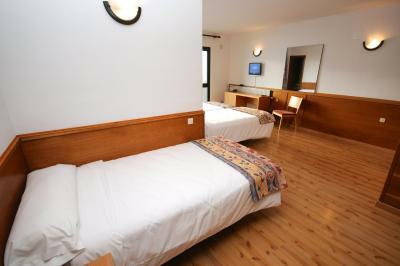 Featuring views of the Pyrenees, this room offers heating and a flat-screen TV. The private bathroom comes with free toiletries and bath. Privat parkeringsplass finnes på stedet (forhåndsreservasjon ikke mulig) og koster ekstra. This comfortable room features free WiFi, safe, and a flat-screen TV. 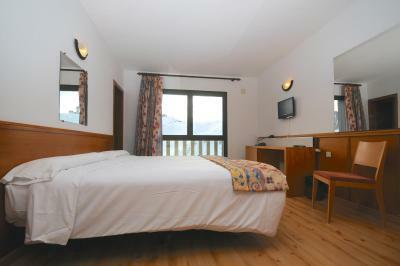 It offers views of the Pyrenees or of the Granvalira ski slopes. The private bathroom comes with free toiletries and bath. This comfortable room features free WiFi, safe, and a flat-screen TV. 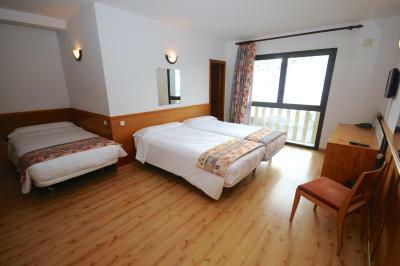 It offers views of the mountain or of the Granvalira ski slopes. The private bathroom comes with free toiletries and bath. Les dette før du booker Hotel Pic Maià tar gjerne imot spesielle ønsker – du kan legge til en kommentar under neste steg. Hotel Pic Maià godkjenner disse kortene, og forbeholder seg retten til å reservere et beløp på kortet ditt før innsjekking.